Cats and dogs can develop a wide range of illnesses. Your pet can suffer from some of the same illnesses that you may, such as conjunctivitis ("pink eye"), colds, and urinary tract infections. However, there are many other illnesses that are more specific to cats and dogs. 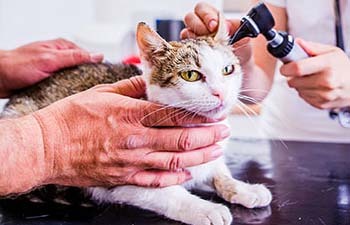 The caring doctors at Animal Medical Hospital have the experience and expertise to help determine the root cause of your pet's illness, and provide the most effective treatment options.